This course will introduce you to advanced wastewater treatment processes that provide higher quality wastewater discharge than achievable with primary and secondary treatment alone. You will learn innovative sewage handling techniques such as polishing ponds, post-aeration, microstraining, filtration, activated carbon adsorption, phosphorous removal, land application systems, nitrification, denitrification, three-stage biological systems, and anaerobic contact processes. Be familiar with the basic components of a valve and their function, including the body, bonnet, stem, actuator, packing, seat, and disk. Be familiar with the basic functions of a valve. Be familiar with the gate, globe, plug, ball, needle, butterfly, diaphragm and pinch valves, including their use for shutoff and throttling, and the construction, operation, and relative advantages and disadvantages of each. Be familiar with the general construction and operation of the different types of check valves, including swing, tilting disk, lift, piston, butterfly, and stop check valves. Be familiar with the general construction and operation of reducing valves. Be familiar with the general construction and operation of safety and relief valves, and the differences between them. Be familiar with the construction and principle of operation of manual, electric motor, pneumatic, hydraulic, and solenoid valve actuators. Your quiz check is wrong, wrong, wrong!!! 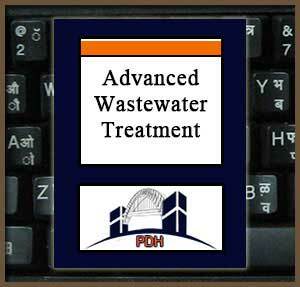 for the Advanced Wastewater Treatment - 5 PDH. I have taken the quiz 3 times. Doubled check my answers.